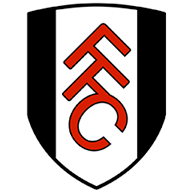 Fulham U21 win 4-2 on penalties. Match ends, Portsmouth 3(2), Fulham U21 3(4). Penalty Shootout ends, Portsmouth 3(2), Fulham U21 3(4). Penalty saved! Gareth Evans (Portsmouth) fails to capitalise on this great opportunity, right footed shot saved in the top right corner. Goal! Portsmouth 3(2), Fulham U21 3(4). Sean Kavanagh (Fulham U21) converts the penalty with a left footed shot to the bottom right corner. Goal! Portsmouth 3(2), Fulham U21 3(3). Jon Dagur Thorsteinsson (Fulham U21) converts the penalty with a right footed shot to the bottom right corner. Goal! Portsmouth 3(2), Fulham U21 3(2). Kyle Bennett (Portsmouth) converts the penalty with a right footed shot to the bottom left corner. Penalty saved! Kal Naismith (Portsmouth) fails to capitalise on this great opportunity, left footed shot saved in the top left corner. Goal! Portsmouth 3(1), Fulham U21 3(2). Stephen Humphrys (Fulham U21) converts the penalty with a right footed shot to the centre of the goal. Goal! Portsmouth 3(1), Fulham U21 3(1). George C Williams (Fulham U21) converts the penalty with a right footed shot to the top right corner. Goal! Portsmouth 3(1), Fulham U21 3. Conor Chaplin (Portsmouth) converts the penalty with a left footed shot to the bottom right corner. Penalty Shootout begins Portsmouth 3, Fulham U21 3. Second Half ends, Portsmouth 3, Fulham U21 3. Attempt saved. 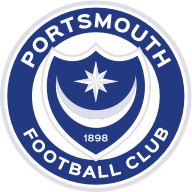 Kal Naismith (Portsmouth) left footed shot from more than 35 yards is saved in the centre of the goal. Corner, Fulham U21. Conceded by Kal Naismith. Attempt blocked. Jon Dagur Thorsteinsson (Fulham U21) right footed shot from long range on the left is blocked. Foul by Tom Davies (Portsmouth). Matt O'Riley (Fulham U21) wins a free kick on the left wing. Attempt blocked. Stephen Humphrys (Fulham U21) right footed shot from outside the box is blocked. Tom Davies (Portsmouth) wins a free kick in the attacking half. Foul by Stephen Humphrys (Fulham U21). Corner, Fulham U21. Conceded by Jack Whatmough. Elijah Adebayo (Fulham U21) wins a free kick on the right wing. Attempt saved. Kal Naismith (Portsmouth) left footed shot from the left side of the six yard box is saved in the centre of the goal. Jayden Harris (Fulham U21) wins a free kick in the attacking half. Goal! Portsmouth 3, Fulham U21 3. Elijah Adebayo (Fulham U21) right footed shot from the centre of the box to the bottom right corner. Assisted by Jon Dagur Thorsteinsson. Attempt missed. Mikolaj Kwietniewski (Fulham U21) left footed shot from the right side of the box misses to the left. Substitution, Fulham U21. Mikolaj Kwietniewski replaces Mattias Kait. Stephen Humphrys (Fulham U21) wins a free kick in the attacking half. Attempt missed. Kal Naismith (Portsmouth) left footed shot from outside the box is too high from a direct free kick. Substitution, Portsmouth. Drew Talbot replaces Ben Close. Substitution, Fulham U21. Jayden Harris replaces Jerome Opoku because of an injury. Foul by Jerome Opoku (Fulham U21). Attempt missed. Joe Hancott (Portsmouth) right footed shot from the left side of the box is high and wide to the right. Kyle Bennett (Portsmouth) hits the bar with a right footed shot from outside the box. Attempt saved. Stephen Humphrys (Fulham U21) right footed shot from outside the box is saved in the centre of the goal. Attempt missed. Stephen Humphrys (Fulham U21) right footed shot from the centre of the box misses to the right. Substitution, Portsmouth. Conor Chaplin replaces Curtis Main. Goal! Portsmouth 3, Fulham U21 2. Jamal Lowe (Portsmouth) left footed shot from the centre of the box to the top left corner. Assisted by Gareth Evans with a cross. Attempt saved. Kal Naismith (Portsmouth) header from the centre of the box is saved in the centre of the goal. Joe Hancott (Portsmouth) wins a free kick in the defensive half. Goal! Portsmouth 2, Fulham U21 2. George C Williams (Fulham U21) converts the penalty with a right footed shot to the centre of the goal. Penalty conceded by Alex Bass (Portsmouth) after a foul in the penalty area. Penalty Fulham U21. George C Williams draws a foul in the penalty area. Substitution, Portsmouth. Kyle Bennett replaces Carl Baker. Jon Dagur Thorsteinsson (Fulham U21) wins a free kick in the defensive half. Attempt missed. Matt O'Riley (Fulham U21) right footed shot from the centre of the box is too high. Goal! Portsmouth 2, Fulham U21 1. Kal Naismith (Portsmouth) left footed shot from the left side of the six yard box to the bottom left corner. Assisted by Gareth Evans with a cross. Attempt missed. Curtis Main (Portsmouth) header from the centre of the box misses to the right. Goal! Portsmouth 1, Fulham U21 1. Jamal Lowe (Portsmouth) right footed shot from the centre of the box to the bottom left corner. Assisted by Curtis Main. Adam May (Portsmouth) wins a free kick in the attacking half. Foul by Elijah Adebayo (Fulham U21). Corner, Portsmouth. Conceded by Magnus Norman. Attempt saved. Kal Naismith (Portsmouth) left footed shot from the left side of the six yard box is saved in the bottom left corner. Jerome Opoku (Fulham U21) wins a free kick in the attacking half. Second Half begins Portsmouth 0, Fulham U21 1. First Half ends, Portsmouth 0, Fulham U21 1. Jon Dagur Thorsteinsson (Fulham U21) wins a free kick on the left wing. Corner, Portsmouth. Conceded by Sean Kavanagh. Corner, Portsmouth. Conceded by Steven Sessegnon. Attempt blocked. Kal Naismith (Portsmouth) header from the left side of the six yard box is blocked. Attempt missed. Gareth Evans (Portsmouth) left footed shot from outside the box misses to the left. Attempt missed. Stephen Humphrys (Fulham U21) header from the centre of the box is close, but misses to the left. Corner, Portsmouth. Conceded by Jon Dagur Thorsteinsson. Attempt missed. Jack Whatmough (Portsmouth) header from the left side of the six yard box is close, but misses to the left. Attempt blocked. Kal Naismith (Portsmouth) left footed shot from the left side of the box is blocked. Steven Sessegnon (Fulham U21) wins a free kick in the defensive half. Attempt saved. Joe Hancott (Portsmouth) left footed shot from the left side of the box is saved in the centre of the goal. Corner, Fulham U21. Conceded by Tom Davies. Attempt missed. Tom Davies (Portsmouth) header from the centre of the box is close, but misses to the left following a corner. Attempt missed. Kal Naismith (Portsmouth) header from the centre of the box is too high. Corner, Fulham U21. Conceded by Alex Bass. Attempt saved. Jon Dagur Thorsteinsson (Fulham U21) right footed shot from the left side of the box is saved in the bottom left corner. Goal! Portsmouth 0, Fulham U21 1. Stephen Humphrys (Fulham U21) right footed shot from the right side of the box to the bottom left corner. Assisted by George C Williams. Foul by Jon Dagur Thorsteinsson (Fulham U21). Attempt saved. Jerome Opoku (Fulham U21) header from the right side of the six yard box is saved in the top centre of the goal. Attempt blocked. George C Williams (Fulham U21) right footed shot from the right side of the box is blocked. Corner, Fulham U21. Conceded by Joe Hancott. Attempt missed. Curtis Main (Portsmouth) left footed shot from outside the box misses to the left. Attempt saved. Curtis Main (Portsmouth) right footed shot from outside the box is saved in the centre of the goal. Attempt missed. Adam May (Portsmouth) right footed shot from outside the box is too high. Attempt saved. Adam May (Portsmouth) right footed shot from the centre of the box is saved in the centre of the goal. Steven Sessegnon (Fulham U21) wins a free kick on the right wing. Attempt missed. George C Williams (Fulham U21) left footed shot from the right side of the box misses to the left.